Vintage Torque Fest Pinup Contestant! No, this is not deja vu. This is a different post - on an already posted subject. 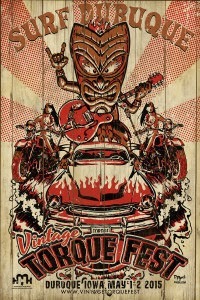 Remember about two weeks ago when I mentioned the Vintage Torque Fest Pinup Contest? A few days after the post, when registration went live, I was sitting there....waiting...to enter. Guess what? I made it! In about a month, I will be participating in the Vintage Torque Fest Pinup Contest - with a chance at winning a photo shoot with Mitzi & Co.! I'm so excited! I have a ton of things to do today: pack for this weekend, prepare some upcoming posts, maybe even fold flowers (they're preying on my mind), but somewhere in all my lists of to-dos I need to choose my outfit and poses for the contest and refine my walk - it's been so long! If you need an upcoming car show to attend let me recommend - Vintage Torque Fest! Hope to see you there!